Whether you are an entry level designer or an experienced designers you’ll always be looking for design inspirations. Adding another bit to those inspirations for you we are releasing Today a set 42 beautiful and high quality medical vector icons. These medical icons come with AI, EPS and PSD source files and designed exclusively for EGrappler.com by our friends at Vecteezy. 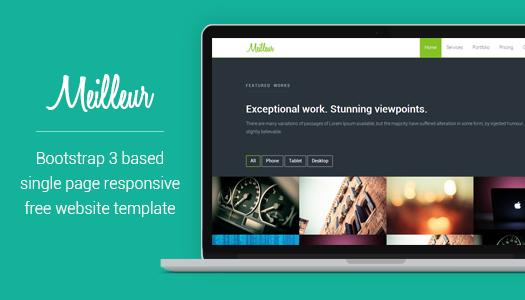 Meilleur is a professional, multipurpose and responsive one page HTML5 website template which has been built using the new Twitter Bootstrap 3 framework. If you are a web developer/designer, your profession requires creativity, expertise and experience sometimes you get irritated with repeating work that takes your time, especially when deadline is close and the budget is low. You should not spare your efforts on such trivial things. Just try Bootstrap admin templates and you’ll never refuse such opportunity to save your time again. 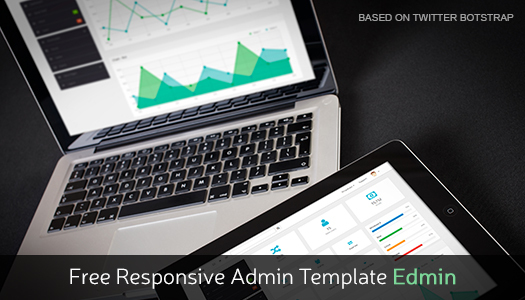 Edmin is yet another new Bootstrap Admin Template with jQuery plugins that is perfect for your projects. It provides an easy to use modern and flat user interface design and a fully responsive layout that is compatible with handheld devices such as phones and tablets. Many voices; local, eradicate political advancement. Partnership; insurmountable challenges; Bloomberg; sanitation, peaceful, transform the.